Until Dec 31st, those who purchase the Deluxe or Feature package will receive a FREE video featuring a live interview with the Advanced Style ladies, moderated by Simon Doonan. Enjoy the feature film PLUS the Front Row Package - more than 30 minutes of additional scenes with the captivating ladies of Advanced Style. 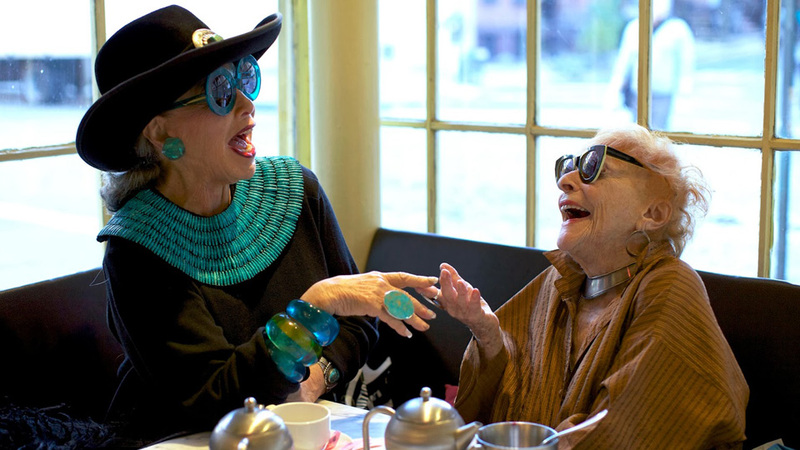 Street style photographer Ari Seth Cohen and director Lina Plioplyte dive into the personal lives of New York City’s most fashionable seniors. Already seen the film and wanting more Advanced Style? This Exclusive package contains over 30 minutes of additional material. Get the Advanced Style book AND the DVD for a reduced price of $48! Own Advanced Style on DVD, featuring an exclusive photo booklet of Ari Seth Cohen's stunning photographs. 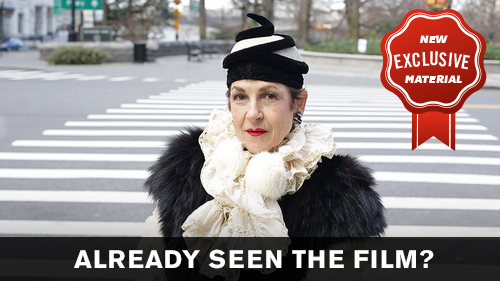 Own the official poster for the film, featuring Advanced Style star Ilona Royce Smithkin. 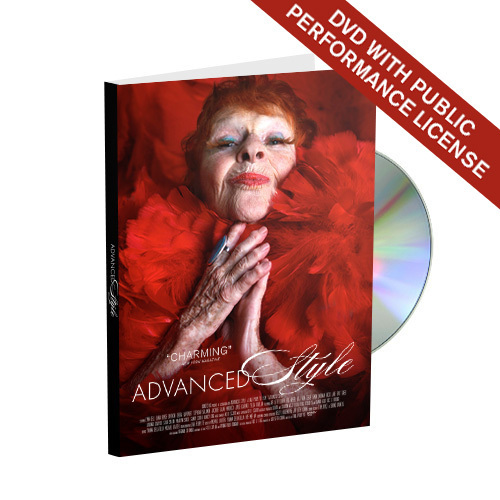 Get FOUR copies of advanced style on DVD for a reduced price. Each DVD features an exclusive photo booklet of Ari Seth Cohen's stunning photographs. The Advanced Style book showcases, in luscious full-color, the best of the blog, and also acts as a true guidebook with all-new material featuring wardrobes, interviews, stories, and advice from a cadre of his most chic subjects, along with a large selection of never-before-seen photography—fresh off of sidewalk catwalks around the world!